Timor-Leste’s new minority government faces big challenges, both developmental and political. After almost two months of intense political theater among the Timorese political elites, the new government was finally sworn in on September 15, 2017 with the new minority government model. While the process is not completely finished and the new government is filled with some old faces, most of them are new. There is hope that the new government will bring new ideas to the country’s looming challenges to reverse some of the trends in term of public spending, improving basic infrastructures and creating jobs for high number of young people. However, the biggest challenge is to overcome the institutional crisis that underpins ongoing political uncertainty and threatens the stable government. Timorese went to the election two months ago with hopes that there will be significant changes for the development path that the country is taking, and addressing some of the real problems that people are facing. Issues like youth unemployment, access to education, basic services and infrastructures, and low incomes are widely seen as the biggest development problems faced by the community. These were confirmed by polls conducted by The Asia Foundation (TAF) before the election, as well as the International Republican Institute (IRI). According to TAF’s survey, economic issues, diversification in particular, were the biggest problems identified by the respondents, although the sector has the highest budget allocation. The lack of basic infrastructure, like roads and bridges, is still seen as a big problem. The gap between Dili and the rest of the country is also obvious in terms of individual income and access to social services. Therefore, the current government has to meet the people’s high expectation by approaching alternative policies. Within public administration, the new government faces the tremendous challenge of controlling ballooning costs. Currently, it costs more than $1 billion to maintain the public administration functioning. It is equivalent to around 60 percent of the domestic economy, measured by non-oil GDP. At the same time, the growing public administration has become increasingly consumptive and inefficient during the past ten years. Allegations of corruption and nepotism is also undermining public trust. When it comes to foreign policy, the immediate goal is to get integrated into the ASEAN community. The recent election boosts the possibility for Timor-Leste to get access to ASEAN. But the real challenge is how to use its foreign policy as a tool to strengthen domestic development, while the improvement of people’s well-being can strengthen Timor-Leste’s profile at the regional and international level. 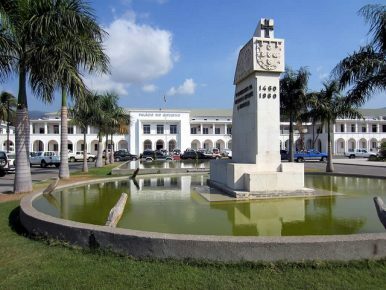 The return of some familiar faces — former president Jose Ramos Horta, new Prime Minister Marii Alkatiri, former Prime Minister Rui Maria Araujo and Rui Gomes — to the cabinet does give people some hope. Rui Maria Araujo, trained as a doctor, is hoped to be capable of addressing the country’s health issues. He was the minister of health during the first government in 2002-2007, when the country did not have petroleum revenues. Having headed the pro-poor unit at the United Nations Development Program, Rui Gomes has essential knowledge on alleviating poverty in the country and solving other macro-economic challenges. The new Prime Minister Marii Alkatiri himself is well-known for being a rigorous decision-maker. After sworn in, he made commitment to change public investment, prevent growing migration to Dili and address subsistence agriculture. Although Timorese political elites decline to admit an institutional crisis, it is obvious that the current process indicates that. By institutional, I mean the rules that shape the political actors interact, including the distribution of power. The election shows that the Timorese institutions are not clear yet about how to address the balance of power, as the society becomes more complex and dynamic. Before the election, many predicted that Timor’s politics would not change much, as the Frente Revolucionária de Timor-Leste Independente (Fretilin) and the Xanana-led Conselho National da Reconstrução de Timorense (CNRT) would continue to form a coalition government. However, after two months of back and forth negotiations among political parties in the parliament, only the Democratic Party which has seven seats in the Parliament agreed to form a coalition with the Fretilin. Kmanek Haburas Unidade Timor Oan (KHUNTO) — which has five seats in the Parliament — declined to participate at the very last minute. The result means that the current government does not enjoy majority support in the parliament. This so-called minority government is new in Timor’s political context. Although CNRT, which has 22 seats, has promised that they will vote for “national interests,” “national interests” is a actually a very tricky term that can be used to justify different policy directions when needed. Taur Matan Ruak’s newly established party, Partidu Libertação Popular (PLP), which has eight seats, publicly stated that it will play the role of “constructive opposition”, while the type of opposition didn’t exist in the parliament in the last five years. The current formation of a minority government, rather than a solution, is a reflection of the failure of negotiation among political elites. The outcome has not provided a sense of certainty or stability to the public. Instead, anxiety has appeared in social media and conventional media coverage. People are worried that the current evolution of the government may have negative impacts on economy, particularly on the confidence of foreign investors, when Timor-Leste is in dire need of foreign investments to address, among other major issues, youth unemployment. Under such political uncertainty, the prime minister will have to work harder to demonstrate the government’s stability to the public; the members of the coalition parties will have to maintain their support base against the opposition parties in the legislative body. In addition, an early election — an election taking place before 2022 — is not desirable for the country, which is in need of long-term goals to address its development challenges now. Any discussion of an early election will only divert attention and prove that the political elites do not have sufficient capacity to make political concessions and manage their own interests under the current circumstances. Guteriano Neves is Timorese independent researcher and a postgraduate student at the Crawford School of Public Policy, Australian National University.